Maria B MPrints 2018 Lawn Eid Collection Now Available at Dress Republic Fashion Store. Maria B Mprints made a huge splash this season, like her previous collection, the new collection launch has been successful at Dress Republic. 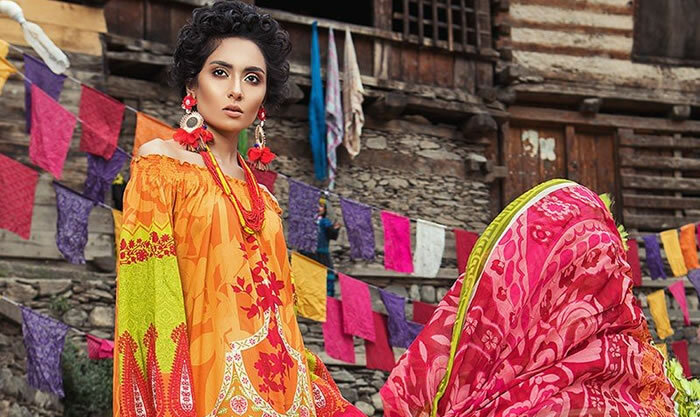 Maria B, the well-known Pakistani designer, caught hearts and creativity with a selection of looks showing in her new collection 2018. The collection consists of maroon, turquoise and blues designed with culotte pants, pencil pants, and gharara pants with beautiful prints and embroidery placements. Maria B Mprints designs stitched and finish by world class fine stitching service and design solution provider company Dress Republic. We quickly establish the attention of audiences how fashion inspiration and imagination can be found in a final stitched dress to your size and specifications. We work hard so you get a perfect dress to wear on for your day-to-day and casual use. 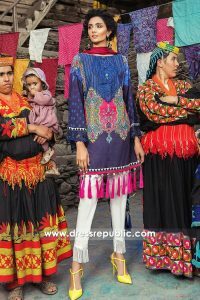 Dress Republic welcomes both single piece and wholesale orders for stores all over the world. Our talented tailoring team encourages to have fun in beautiful printed and embroidered dresses by Maria B Mprints 2018. With a design philosophy rooted in constant change, improvement and originality, the designer has already become a force to be reckoned with. One of the brightest fashion stars of the industry, she remains committed to bringing the very best to her customers without fail. The designer admits that amongst all of her muses, her family remains the most important. MARIA.B started in 1999 with one retail outlet and a small stitching unit where Maria’s sole focus was to provide ready to wear fashion that reflected an elegant fusion of east and west. Today MARIA.B. 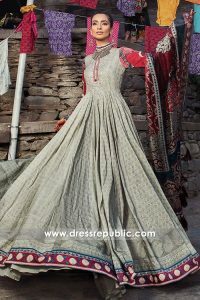 is Pakistan’s most diverse designer fashion brand with prêt a porter, couture, formal wear, lawn, embroidered fabrics, linen and cottons all within one affordable label at Dress Republic Fashion Store.